Thank you for your interest in incorporating in Maine. 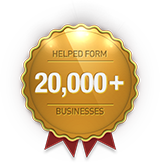 Form-A-Corp makes business incorporation easy with low prices and custom ordering. Use our secure online incorporation service or call us toll free at 1-866-343-6759 to form a corporation. A Maine Corporation by Form-A-Corp includes Maine incorporation name reservation and all Maine incorporation filings needed to form your Maine corporation or Maine LLC. With our affordable online incorporation, you can form a Maine Corporation or LLC – add only those items YOU NEED for YOUR INCORPORATION. Our online incorporation web site, is the leading business incorporation web site providing comprehensive incorporation services for both profit and nonprofit corporations and limited liability companies (LLC’s) in all of the 50 United States.